So berry delicious! And with 2g of total sugar per 5.3oz. 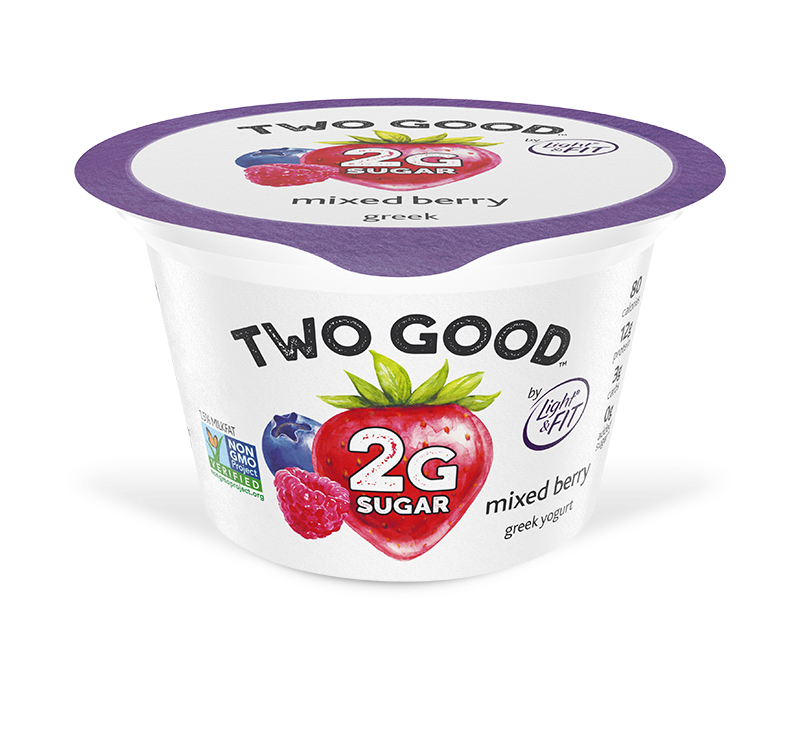 serving, this smooth Greek yogurt is Two Good to pass up. Cultured Grade A Reduced Fat Milk, Water, Contains Less Than 1% of Tapioca Starch, Lemon Juice Concentrate, Natural Flavors, Gellan Gum, Stevia Leaf Reb M, Sea Salt, Fruit And Vegetable Juice Concentrate (For Color), Active Yogurt Cultures L. bulgaricus & S. thermophilus.